The $5,000 Apple Lisa announced in 1981 weighed 45 pounds and came with one megabyte of memory. Mountain View, California's Computer History Museumhas published two revealing documents from the early days of Apple Computer that were part of a collection bequeathed by early Apple investor Mike Markkula. The first is the company's initial public offering proposal from 1977 was remarkably candid, admitting that cofounders Steve Wozniak and Steve Jobs were "young and relatively in-experienced in the high volume consumer electronics business." It also cited potential troubles with manufacturing and cash flow. The latter document, a business plan written for the Macintosh and Lisa computers, similarly asked tough questions, including "Is our schedule realistic?" 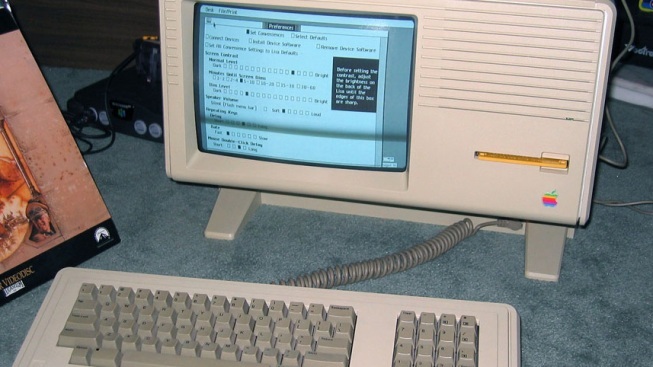 It wasn't until 1983 that the Lisa was released, while the Macintosh hit the market in 1984. For anyone who remembers the early era of personal computing, it's a fascinating look behind the scenes at the private decision making which eventually shaped the products and the publicity surrounding them. Certainly, the company and the men behind it didn't lack for ambition even back then. Jackson West, ironically enough, first used a Macintosh his mother brought home from work at Microsoft.